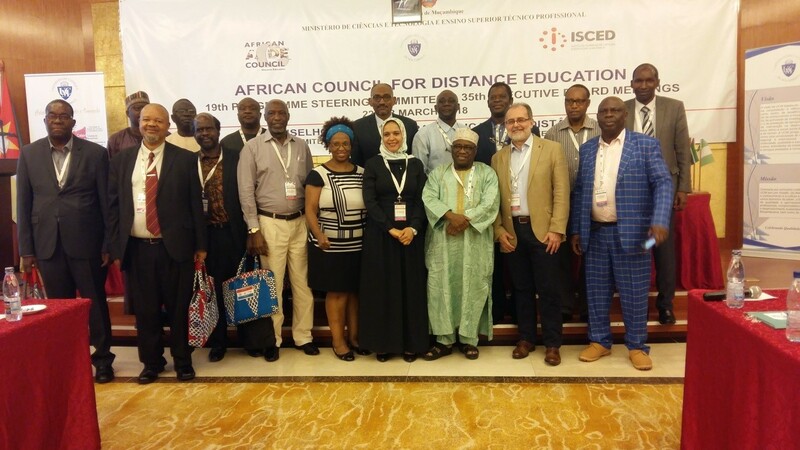 Following the invitation of the Executive Board of the African Council for Distance Education, the coordinator, Prof. Albert Sangrà, of the European Erasmus + project CODUR, coordinated by the Edul@b research group, has attended the Steering Committee and Executive Board meetings of the ACDE held in Beira, Mozambique, 22-23 March, 2018. In these meetings, the CODUR criteria and indicators have been presented at the level they have currently been developed. Feedback given has been very positive, indeed. African open, distance and online universities face the same problems than any other online university in the world: lack of visibility, concerns on quality of their education provision, and any consideration in university rankings. Universities in Africa are rapidly moving into open and online education as a way to widen higher education all over the continent. In addition, they are very concerned about providing high quality of education, not only access. As necessary agents to get the UN Sustainable Development Goals (SDG), they have very much welcome such an initiative as CODUR in order to have criteria and indicators to measure their quality, and guidelines to support any open and online university to move forward higher standards of quality in higher education provision. Very interesting talks have been had with Prof. Abdel Raouf Abbas, President of ACDE and Prof. Rotimi Ogidan, ACDE Executive Director, as well with several university Vice-Chancellors. Continuous communication and updating on the project have been agreed, as well as advice and support for their strategies in make high quality online education growing and more visible also in the African continent, where CODUR already has an associate partner (University of South Africa, UNISA).